Are you a keen ice hockey fan, or maybe you’re looking to take it up as a hobby? While Yorkshire may not be known for its especially icy weather, it does have a surprisingly strong ice hockey following. Here, you’ll discover more about the local Yorkshire ice hockey teams and nearby rinks you can sign up with. Who are the local teams? There’s a few local Yorkshire ice hockey teams you can follow including the Bradford Bulldogs and the Sheffield Steelers. The Bradford Bulldogs play within the English National Ice Hockey League. Their home games are played at the Bradford ice arena and they’ve been going strong since 1978. An impressive six players from the team have recently been chosen to play for England, showing the kind of quality players the team has. The Sheffield Steelers is a professional ice hockey team in South Yorkshire, and they were formed a little later than the Bradford Bulldogs in 1991. Their home games are played at the FlyDSA arena, and the club is a member of the Elite Ice Hockey League. Both teams have websites where you can follow their latest news and check out their upcoming matches. If you’re interested in trying your hand at ice hockey, you won’t be disappointed! It’s a really fun and active sport delivering plenty of health benefits. There’s numerous clubs situated around the country. The best place to look is the EIHA website. They list registered teams and ice rinks across England. 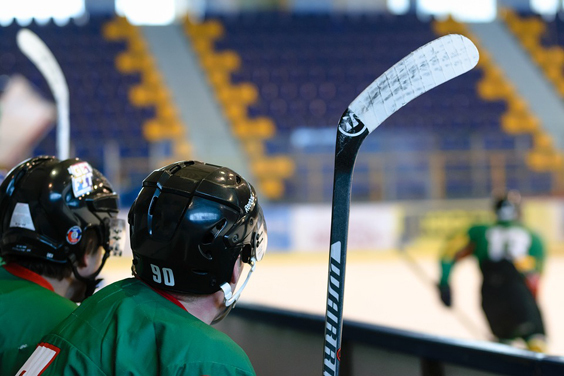 If you live in West Yorkshire for example, the Bradford Ice Arena is definitely one of the most popular places to learn ice hockey. The club caters to everyone from the under 9’s to adult recreational teams. They provide beginner training sessions which teach you all of the basics and skills you’ll need to play. Whichever part of Yorkshire you live in, there’s sure to be a local ice hockey rink you can head to. Of course, if you want to take up ice hockey as a hobby, or competitively, you’re going to need to invest in the right equipment. While it can get expensive buying everything you’ll need, there are equipment bundles available which can save you money. You can check out example equipment bundles on sites such as Proline Skates. You’ll find numerous starter kits on offer at affordable prices. It’s also worth noting that if you’re just starting out, many clubs will be more than happy to hire out the equipment you’ll need. Ice hockey may not be a typical Yorkshire sport, but it does have a surprisingly large following. Why not check out your local teams or sign up to a local ice hockey rink to find out why so many people enjoy this fun sport?